This goal that I have set for me. Repeat this spell every day for a week while working toward your goal. Posted on January 24, 2014 by ladyoftheabyssPosted in Articles, Career/Success Spells, Daily Posts, Miscellaneous SpellsTagged Alternative, Ancients, Aromatherapy, Business, Health, Incense, Odor, Shopping. All of the events in our lives lead to other events, they are all connected. It’s fun to look back on past experiences with an eye to uncovering those gems—the dreadful temporary job in a bland office building that introduced you to the love of your life; the roommate you couldn’t tolerate who gave you a book that changed your life; the time spent living in a city you didn’t like that led you into a deeper relationship with yourself. Remembering these past experiences can restore our faith in the present. Life is full of buried treasures. Chances are, you’re sitting on some right now. Posted on January 20, 2014 by ladyoftheabyssPosted in Articles, Daily PostsTagged Experience, God, Incense, New Age, Odor, Present, Religion and Spirituality, Shopping. Incense is used in many cultures for purposes such as accents in religious ceremonies or aromatherapy. The process to make incense sticks is fairly simple and can be very rewarding to those interested in creating their own scent. 1. Decide what kind of incense you want to make and purchase the proper ingredients and supplies. 2. Research different incense recipes based on the scents and herbs that you prefer and gather these materials along with tools to prepare to make stick incense. You will need at least 3 ingredients: an herb, a resin and a wood. You will also need binding materials such as gum Arabic, makko (an incense powder ingredient derived from tree bark), and charcoal to make the mixture combustible. 3. Gather your ingredients, according to your preferred scent strength, along with bamboo sticks and prepare to mix. 4. Crush your herbs or solid ingredients in equal parts to make a smooth powder. Use a mortar and pestle for best results. 5. Combine all dry ingredients until thoroughly mixed. Add makko. 6. Allow the mixture to sit overnight. 7. Prepare distilled water or fragrant hydrosol and add to your incense mixture slowly. The mixture will need to be pliable, not runny and able to adhere to the bamboo sticks. 8. Knead the incense dough thoroughly. 9. Roll your mixture onto the bamboo sticks, allowing the mixture to coat the stick evenly. 10. Lay the sticks on a drying rack to enable them to dry evenly. 11. Allow your incense sticks to dry for 1 to weeks prior to attempting to use them. Keep incense sticks out of direct sunlight and heat while they are drying. Experiment with different herb, wood and resin combinations until you obtain a mixture that is most pleasing to you. Also, try other methods of incense making to become familiar with the mixing process and learn how to use the ingredients. Wear rubber gloves to protect your hands while you mix ingredients and form them onto incense sticks. Depending upon which scent you choose, sandalwood versus frankincense for instance, you may need only 10% of makko added to the mixture. Break up incense sticks that didn’t produce the expected end result and try the process again. Never attempt to dry incense by baking or microwaving it as this creates a fire hazard. Don’t allow incense to burn unattended. Always burn incense in a well-ventilated area away from pets and children. Posted on January 20, 2014 by ladyoftheabyssPosted in Articles, Daily Posts, IncenseTagged Aromatherapy, Gum arabic, Herb, Incense, incense powder, incense sticks, Ingredient, Odor, proper ingredients, Resin, Shopping. 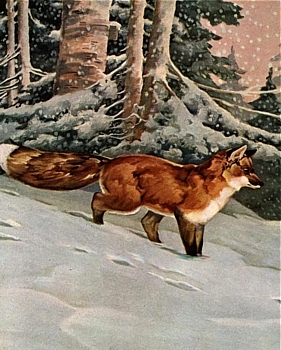 Fox medicine represents the ability to blend in. She can change colors to blend with the seasons—becoming almost invisible against a backdrop of snow or foliage. Fox also has an amazing sense of smell that enables her to sniff out dangerous situations. Be like a Fox—street smart and safety savvy—don’t call attention to yourself as today is a day of watch and wait. Use this oil to bring the perfect love of the Goddess and perfect peace of the God into your circle. Use this oil liberally and become the God and Goddess for a little while. You will need your lover, nine teaspoons of olive oil, six drops of lavender essential oil, one drop of sandalwood-scented oil, one drop of rosemary essential oil, and one drop of jasmine-scented oil. Please bless this oil with your perfect peace. Rub some of the oil on your partner, and your lover in turn can rub some of the oil on your body. Take a deep breath and sense the aroma of oil mixed with your lover’s natural scent entering your nostrils and filling your entire being with a divine passion. Enjoy the night together, and focus your love energy on a magickal goal that you both care deeply about. Posted on November 27, 2013 by ladyoftheabyssPosted in Aromatherapy, Articles, Oils & OintmentsTagged Essential oil, Food, lavender essential oil, Odor, Olive, Olive oil, Peppermint, perfect peace, Shopping, Spray bottle. You will need one ounce of apricot oil, three drops of jasmine-scented oil, three drops of sandalwood-scented oil, and three drops of ylang ylang scented oil. My Sweet Love, all that I am, all that I see, all that I feel, all that I dream and do are brighter, more beautiful and more meaningful, because I am so delightfully in love with you. Next during the day, make a phone call to your love and tell him or her that you will have nothing on but his or her favorite CD after dark tonight. Your lover will be thinking abut you all day. After dark, mix the oils together, go sky clad and anoint yourself with the mixture. When your lover arrives take off his or her clothes, anoint him or her with the oil, and show him or her how strong and creative your love can really be! Apply plenty of the oil mixture to your lover’s back, and take several minutes to give your love a relaxing and sensuous shoulder and back massage. Allow him or her to reciprocate. Make love and remember to focus on your magickal goal or symbol as you climax. Posted on November 27, 2013 by ladyoftheabyssPosted in Aromatherapy, Articles, Oils & OintmentsTagged apricot oil, Aromatherapy, California, Cananga odorata, Essential oil, Health, Odor, Shopping, Sweet Love. Quiz for October 20th – What does your favorite aroma say about you? Your Favorite Aroma: What Does It Say About You? Your favorite family of aromas or essential scents can tell a lot about your personality–or that of your friends. This simple little quiz can give useful information about all of you! Are you the outdoorsy type? Is your best friend a romantic? Do you have an adventurous streak? And what colors, gemstones, flowers, activities, and images will be appealing to you or your friends? Posted on October 20, 2013 by ladyoftheabyssPosted in Articles, Daily PostsTagged Burgundy, Color, Freesia, Gemstone, Gemstones, Odor, Rose, Sapphire, Stephanotis. Light the candle and burn patchouli incense. Meditate for 5 minutes as the candle burns. Visualize yourself writing the check or purchasing the money order for the bill and putting it in the mail. Burn the candle every day around the same time for 7 days each candle burning session should last 15 minutes at a time. Also, burn patchouli incense every day along with the candle. On the last day, burn the paper with the flame from the candle and let the candle burn completely out. 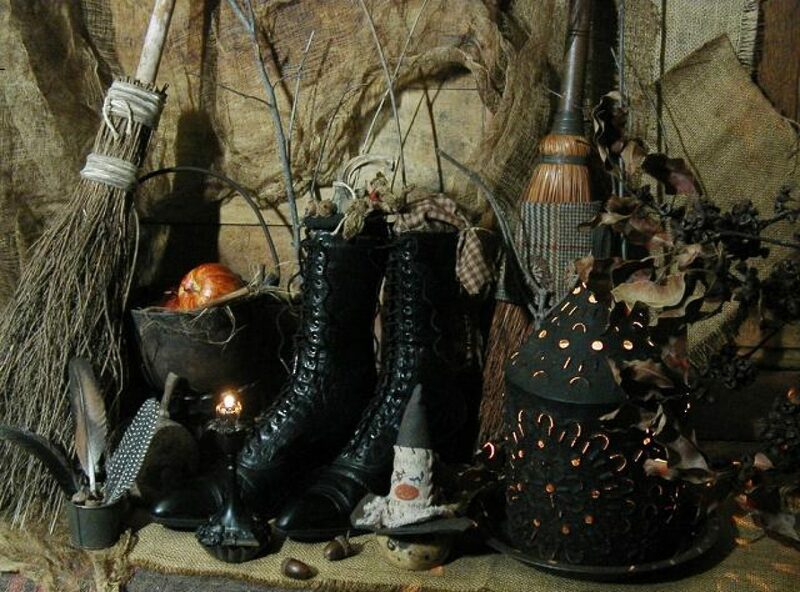 Posted on October 14, 2013 by ladyoftheabyssPosted in Articles, Daily Posts, Money SpellsTagged Candle, Cinnamon, Crafts, Essential oil, Incense, Odor, Patchouli, Shopping.